Homemade biscochito cookies; official state cookie of New Mexico. Photo by Megan Eaves/Flickr (Use Permitted with Attribution/Share Alike). A small anise and cinnamon flavored shortbread cookie, the biscochito cookie (called biscocho in southern New Mexico), was introduced by early Spaniards in the 16th century. 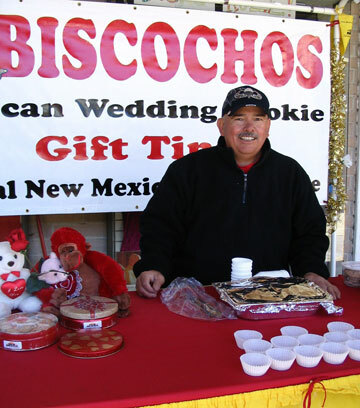 Biscochito cookies are used during special celebrations such as wedding receptions, baptisms, the Christmas season, and other holidays. Directions: sift flour with baking powder and salt.In separate bowl, cream lard with sugar and anise seeds until fluffy. Beat in eggs one at a time. Mix in flour and brandy until well blended. Refrigerate 2-3 hours. Turn dough out on floured board and pat or roll to 1/4- or 1/2-inch thickness. 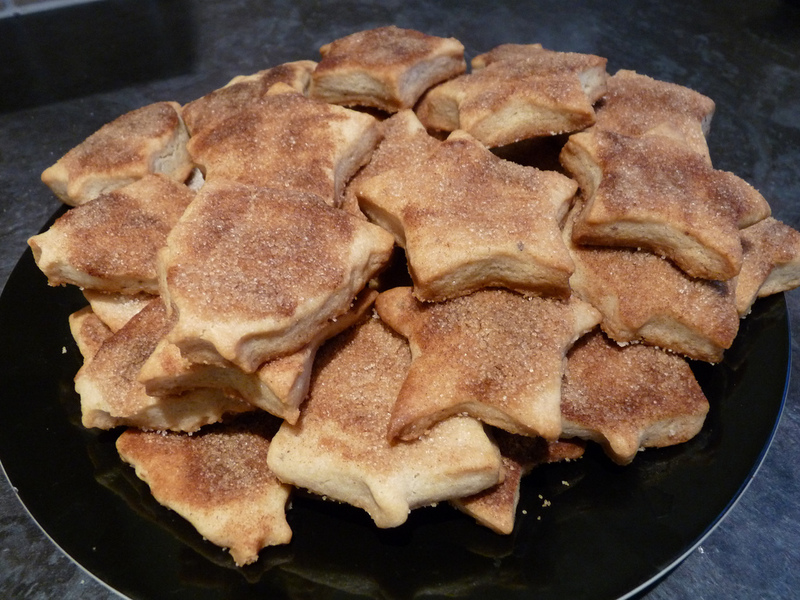 Cut into shapes (the fleur-de-lis is traditional).Dust with mixture of sugar and cinnamon. Bake 10-12 minutes at 350° or until browned. Biscochito at the Farmer's Market in Las Cruces; photo by Cyndy Roy on Flickr (noncommercial use permitted with attribution / share alike).